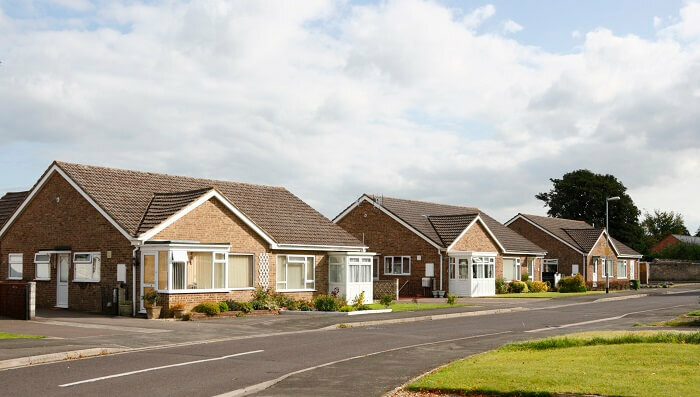 You’d be forgiven for thinking that if you live in a bungalow, you might not ever need our services at Jarrods. Actually, you’d be surprised how many people install new staircases into bungalows. Just like most houses, the loft in a bungalow can be underused. For this reason, many homeowners consider adapting it into a habitable space. It’s an added bonus when you consider that an extra bedroom in a property will increase its chances of selling and possibly increase its value. There are clearly an awful lot of building regulations associated with this. For the purposes of this blog, we’re going to assume that you’ve already explored this and gained the required approval. If you want any advice on how to do this, we’re more than willing to help where we can. So you’ve decided to add an extra floor to your bungalow, now all you need is a staircase to be able to access it. Here’s what you need to consider when installing a staircase in a bungalow. If you’re having your loft converted and you want something a bit more bespoke than an off-the-shelf staircase, it pays to find a designer who can talk you through the process. They need to know the specifics of a loft conversion in a bungalow. Like the fact that, as part of the fire safety upgrade that’s required, a staircase should lead to a hall and external door. Take your time to find someone that understands both the functionality and look and feel that you’re after. The team at Jarrods will be more than happy to talk you through our own approach to a staircase installation. Make sure that you’re confident you’ve found someone who can offer a creative solution and a non-intrusive installation. 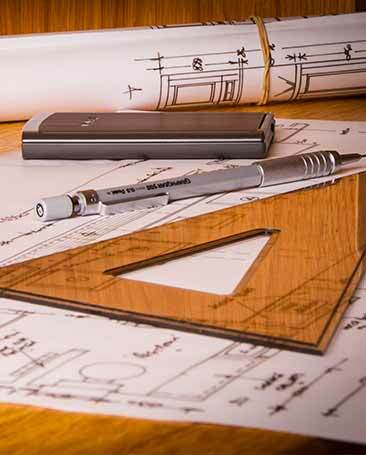 Once you have, ask them to approve their design with your building control officer before you commission them. Since a bungalow hasn’t been designed to accommodate a staircase, you’re going to need to decide which room it should go in.The most important aspect will be choosing a room where the staircase will fit in without taking up too much space. You’ll also be glad to hear that installing a staircase in a bungalow doesn’t require any additional building regulations. It’s exactly the same as installing one in any other property. How will it affect the rest of the property? All you need for a kite-winding staircase is a base of 6ft by 6ft. It’s worth noting that a staircase may need to be in the middle of the room if the slope of the roof affects headspace. A staircase is a brand new structure that’s bound to take up space in your bungalow, but you can minimise its negative effects. In fact, you could use it to your advantage and increase the amount of storage. 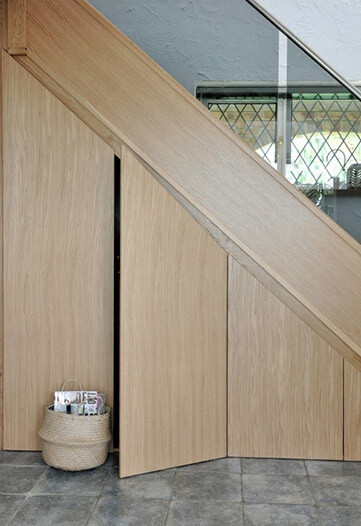 A room that is “cut into” by the staircase can be squared up with angled robes and you can also benefit from some additional under-stair storage. This comes down to personal preference but with a bungalow, there are some considerations you should keep in mind. You don’t want your new feature to impact on the space and light you currently enjoy in the property. 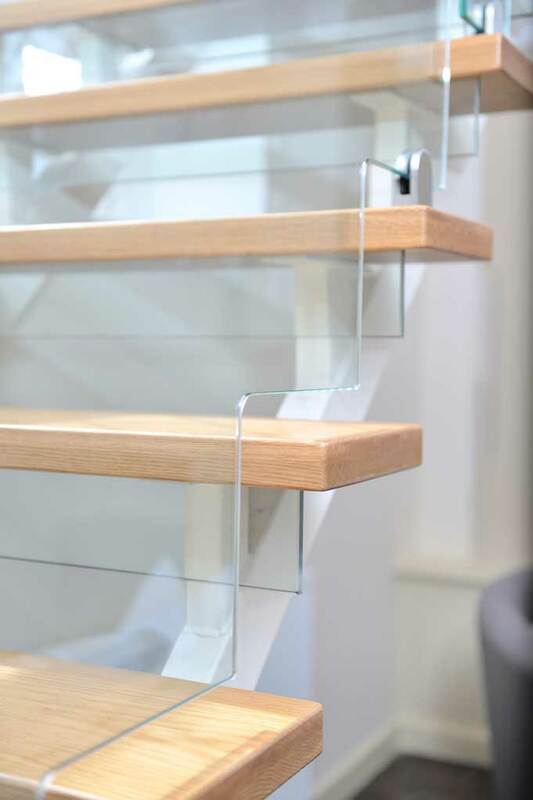 Glass staircases will open up the space and won’t block light. If you do choose another material, open risers can also create the same effect, especially when accompanied with thinner spindles. There are plenty of things to consider when installing a staircase in a bungalow, hopefully we’ve given you some tips to point you in the right direction. If you’d like to find out more, or get some advice on your specific project, feel free to give us a call.